Thanks Thai Za. Same to you. 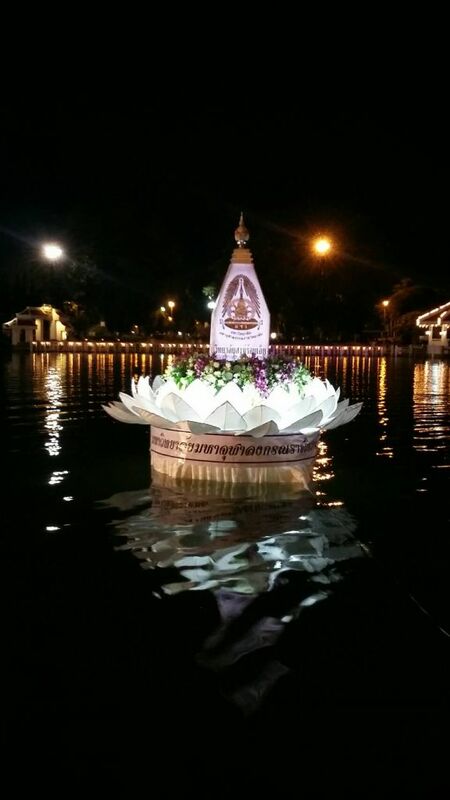 Unfortunately the khlongs near me would instantly dissolve any krathong. So I'll stay with my little fish pond. Loy krathong last night nearly my place with friends its fun!! We made ours ourselves too. The young one enjoyed it, until it burned down and the flame went out. Which resulted in tears. No such thing as an eternal flame, a good lesson learned in the realities of life. 55+ Where you went to loy krathong ? My 2 daughters at the local do. Unfortunately Loy Kratong wasn't the same this year. They had a rent a crowd dressed in black paying homage to HM. They took over the place. Must have been some Hi-so's there as the place was awash with cops. Poor old locals were pushed aside as usual..
Nice and happy kids Pragmatic. Well done. Lovely kids Pragmatic.. lucky man. Girls can be a joy. ^ Do you have any kids yet bro? Thanks to all. Our 3 kids were all born after IVF treatment so luck played a big big part. Their looks was a bonus. Took grandkids to lake in town center. One of many big kratongs we have every year. The usual parade but no fireworks or mor lam this year. Aww nice krathong, You work at chulalongkorn? No work for me. 110% retired. The kratong was donated to Roiet city and is one of many used every year. Roiet city is built around a large lake with walkways and gardens all around the lake. Beautiful and perfect for Loy Kratong. Oh I see very nice krathong...How about weather in roiet start to cold? I got back to Thailand yesterday, shattered after a weekend away and thought i'd have to go through all that daftness again of littering the place with 2 boats on fire and watching her pushing the water to try and keep them together.